Carla and Marco are manic-depressive poets whose art is fueled by their emotional extremes. When they go off their meds, they end up in the same psychiatric hospital. As the chemistry between them stirs up their emotions, it intensifies their mania. Despite doctors' and parents' attempts to separate them, they pursue their beautiful but destructive romance which swings them from fantastical manic highs to suicidal depressive lows, until they have to choose between sanity and love. 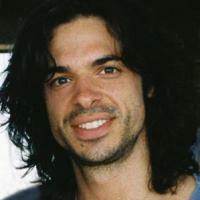 Paul Dalio is a New York based filmmaker. He received his BA in screenwriting at the NYU Tisch School and his MFA at the NYU Graduate Film program where he met his wife and collaborator. Mania Days is Paul's debut, inspired by his past struggles with manic-depression.